STURGIS, S.D. 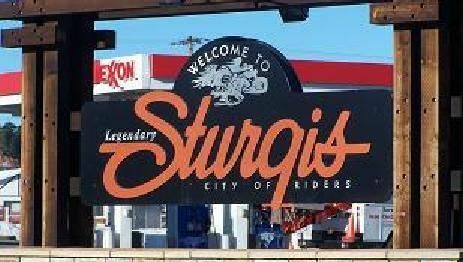 – Sturgis city leaders passed first reading this week of changes to their Downtown Overlay project. The overlay is part of a long term project focusing on enhancing growth in business activity and events in the downtown corridor. The overlay was meant to establish several design guidelines to ensure that future development would be significantly positive to the unique pedestrian-oriented retail environment. In addition, the overlay granted several additional uses that were previously prohibited. Sturgis City Manager Daniel Ainslie says this was meant to strengthen the economic potential of downtown real estate. "The overlay was established in or around 2013 and came out of the downtown strategy task force and the chamber started. It was kind of a year long process and in that there is a lot of design guidelines. In those guidelines, they try to make sure downtown is maintained and in a better position for future growth." Ainslie says The Planning and Zoning Commission has been working through a couple of different situation they have in downtown, and they’ve recommended some changes. In addition there were some changes to strengthen it as well. "We also don't want outside storage or outside buildings or metal storage containers, things like that to improve the aesthetics of downtown." Ainslie says the continued development of the downtown area has a significant enhancement in both property and sales tax revenue. In addition, the provisions are designed to protect the investments that have already been made.